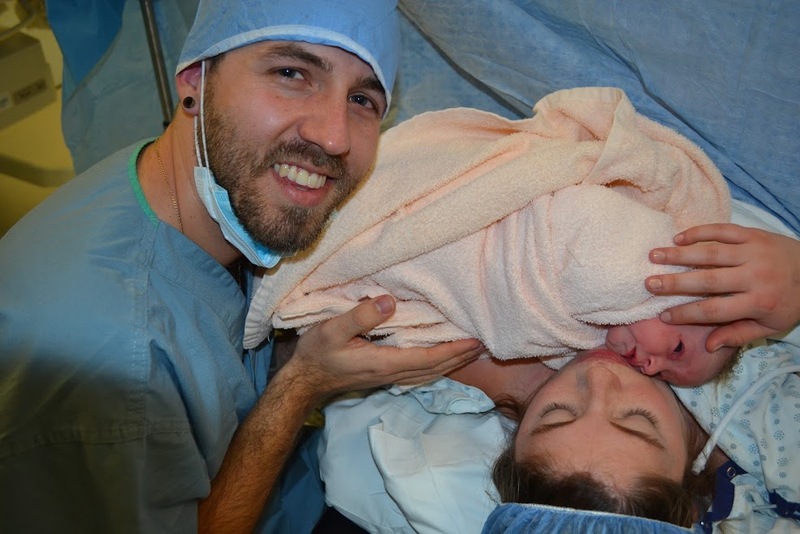 Chylanne’s pregnancy began with a hope for a natural home waterbirth but quickly turned into copious amounts of research and a panic to find someone to deliver her breech baby. She feels that she went from one end of the spectrum to the completee opposite; ending with a c-section. She says she didn’t enjoy being pregnant and was really looking forward to feeling redeemed through birth. She went through a grieving process when she found out her daughter, Mila, was breech because she felt like everything she wanted out of birth was ripped away from her. Chylanne says it was hard coming to terms with the potential of having to have a c-section, but after trying and doing everything she could and having lots of support from those that loved her (like her amazing friend, Jana, who has also gone through a natural birth and c-sections) she was able to feel the validation that she needed from her birthing experience. Chylanne is wife to Kai, a new mother to Mila and has a dog named JJ. She has her degree in Early Childhood Education and has worked as a respite provider for families with children with autism, and has been an activity leader at the Boys and Girls club, an organization that is very close to her heart. She is currently a stay at home mom and hopes to continue in that role until she and her husband are done having children. She is absolutely in love with her little girl and enjoys every minute with her. She is working on getting back to writing more regularly on her blog because she really enjoys it; but, as a new mom she’s still trying to balance everything including self care. She also wants to complete her certification as a Doula and would love to pursue a future career supporting other women through their pregnancy, birth, and postpartum journeys. Connect with her via her blog.